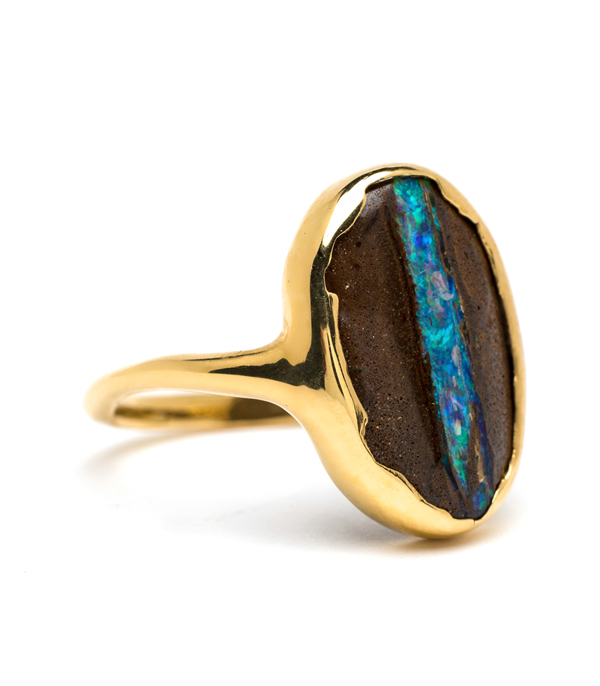 A mesmerizing mix of rustic and refined beauty, this one of a kind opal pebble ring could quickly become your next must-have piece! 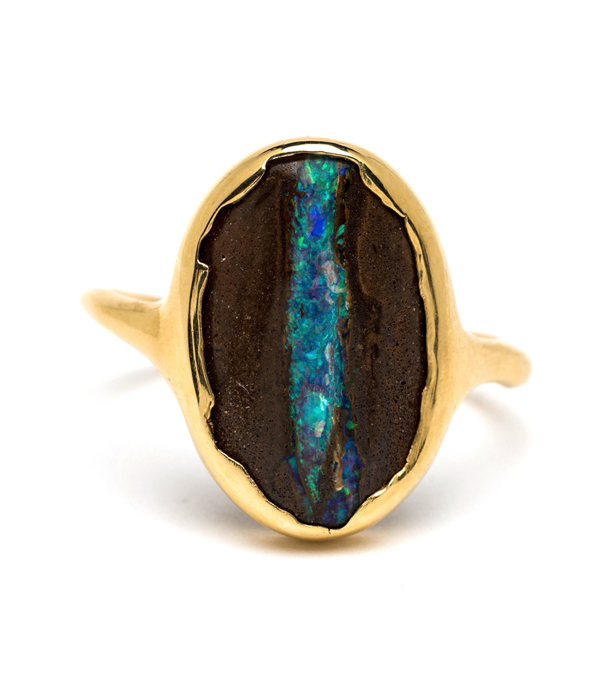 One unique Australian boulder opal features a streak of blue green play of color that magically balances next to the rocky matrix and rich 22K hand made mounting. 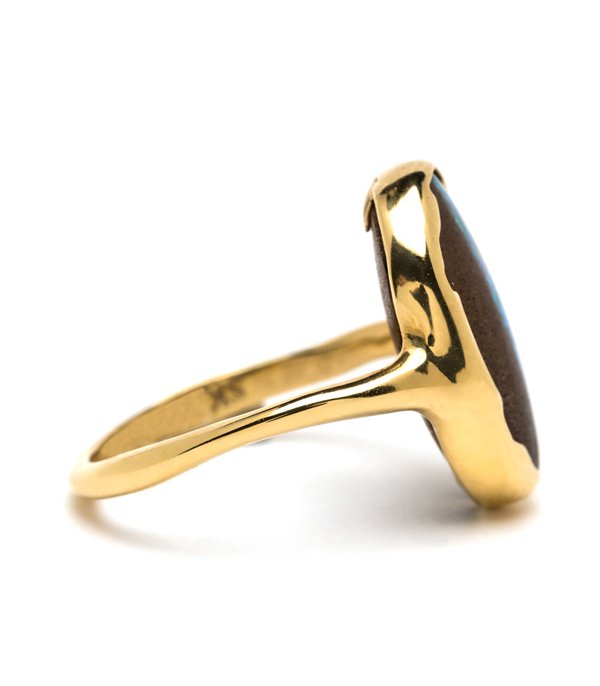 Looking like it just broke out of an ancient shell, this beautiful statement ring makes the perfect choice for the bold bohemian. All day, every day, magic!